ONE of the consequences of sentient biological existence is the experience dukkha. Dukkha is sometimes translated as suffering, but in actual fact encompasses all senses of unsatisfactoriness, even including pleasure (which evolution has contrived will always be a transient sensation - lest it detract too much from the grim business of survival). In its most manifest form dukkha includes severe suffering such as that of the animal caught in a trap which will gnaw through its own limb in order to attempt to gain some form of temporary survival, perhaps to return to its young. At the other end of the scale is the subtle dissatisfaction of the billionaire who has everything , and then discovers that his business rival has a slightly larger yacht. Dukkha ensures you can never have enough, you've always got to have more. Any sentient being living in an evolved and evolving biosphere will inevitably experience dukkha. Dukkha is a quale (subjective experience), an appearance to the mind of the habits of millions of years evolution , of attempting to get the competitive edge, of never being satisfied with second place, of perpetual restlessness. Darwinism shows that evolution is a game that the individual cannot win. 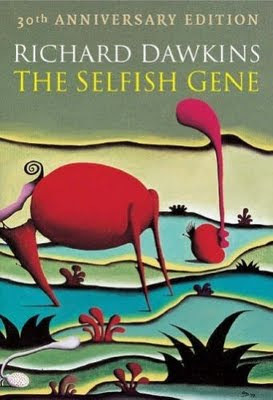 His genes drive him to compete and propagate, but he is not propagating himself, he is propagating his selfish genes. We spend our lives from birth to death acquiring nutrients to grow and ensure our survival. Nowadays many of us acquire sufficient nutrients to actually reduce our chances of survival, but instincts driven by genes developed during millions of years of selection by famine don't disappear in a generation or two of plenty. We acquire every material need and even then we're not satisfied. Our instincts drive us to acquire everything else we can lay our hands on. Things may be no use to us, but our deep instincts tell us that by holding them ourselves we are depriving our competitors (everybody but our immediate kin) of them. The sociobiological roots of greed and attachment to possessions go deep into our evolutionary past. Getting into the state of being satisfied sets the instinctive alarm bells ringing. If you think you can drop out of the evolutionary race then all the habituation of hundreds of millions of years of evolution will tell you not to. Our genes drive us along paths of action which appear to minimise suffering, but in many cases increase it. Greed and acquisitiveness are natural reactions designed to increase the survival of our genes, and decrease the chances of our competitors. After a certain point, the more you've got the more you've got to lose, (even if it is just losing face) and so the more you've got to worry about losing. (1) The first step is to recognise the inevitability of dukkha - the sense of unsatisfactoriness and the certainty of ultimate loss of everything, which haunts all sentient beings even in the absence of manifest suffering. (2) The second is to recognise the origins of these futile strivings in our biologically conditioned evolutionary history. If we want to stop being the puppets of our genes and memes we need to clearly understand why we're attached to these particular strings. (3) The third step is to realise that it needn't be like this. This is perhaps the most difficult one for a reductionist materialist. It involves realising that the mind is non-physical and that it can escape from the eternal evolutionary treadmill. (4) The fourth step is adopting a liberating psychological technology that stabilises the mind and protects it against uncontrolled attachment to further striving, suffering, biological rebirths. Note that the Buddhist concept of innate delusions is totally different to that of 'original sin' found in some other belief systems. Innate delusions and their imprints are seen as an inevitable consequence of where our minds have been over millions of years of evolution. There is no actual 'blame' or 'guilt' to them, though of course the practitioner strives to understand them in order to overcome them. The concept of Original Sin is theological rather than scientific in origin, and derives from Eve's sin of eating the apple being passed down through all subsequent generations. phrase - the grim business of survival has natural selection edit poorly contrived grammar.